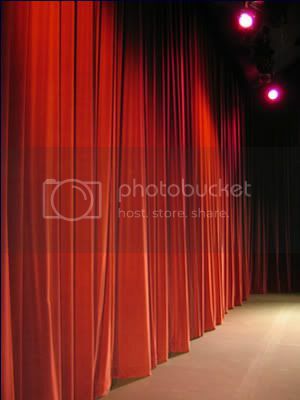 Would they allow pink elephants into a theatre today? Recently they passed a new law in Australia that regulates the design of cigarette packages. In the future they’re to be covered in warning texts and deterring images showing what smoking makes to your intestines. Not even a brand logo is allowed. To be honest I’m not all that upset by those limitations, though I’m in doubt whether they’ll really work. I think very few smokers are seduced into the habit by how the envelop looks. There are other forces at work there. With this as one example, it isn’t farfetched to say that we live in a time of history when the awareness of the dangers of drugs is strong, perhaps even all-time-high. The list of all the moral, ethical and political aspects you need to consider when making a movie gets longer and longer, especially if it’s a film directed towards children. This makes me wonder: would it even be possible to make a film such as Dumbo today? I doubt it. You could possibly make a sequence with dancing pink elephants. But they would spark from a dream or a fantasy; they wouldn’t be the hallucinations by someone who is completely wasted on god-knows-what drug. “What kind of water is this anyhow?” asks Timothy mouse before the psychedelic shows takes off. Yeah, I wonder too. Before the little fellows drink it and – in the case of the mouse – swim in it – we see how a bottle with an unknown content that sparkles falls into the bucket of water. It surely must be something way more potent than ordinary champagne, judging from the effect of it. As a grown-up I adore the scene that follows – bubbles, elephants and all. I’m not entirely sure I would have loved it as much if I’d watched it as a child. I suspect it could seem weird bordering to creepy. Perhaps I would take comfort in that the mouse and the elephant seem to be very happy with what they see. And as they wake up the next morning in the top of a tree (where you ends if you’re on a high I reckon), they don’t even look as if they have a hangover. As I scanned the webs I found the scene posted on YouTube – with one little difference: they’ve changed the soundtrack to Purple Haze by Jimi Hendrix. It fits like a charm. So what do I make of this? Am I for or against it? Should we be upset about it? Well – don’t get me wrong here. I’m well aware of the downsides of drugs and I certainly don’t suggest that film companies should start to make more drug positive movies aiming for a young audience. There’s no reason to make the kids more curious about alcohol and narcotics than they already are. This said – I have to admit that I love this film and particularly this scene, which was made in an era when not all movies were streamlined into the same shape, a time when animators were allowed to go crazy without taking all those political considerations. It gives me a kick to watch how the craftsmen let their playfulness run free and wild, the same kind of kick you can get listening to a skilled guitar player improvising a breathtaking solo. You have no idea of where and how it will end; all you know is that it’s a marvelous ride. Dancing pink elephants aren’t allowed into theatres anymore. But I’m glad we still have Dumbo to enjoy. « Is your film collection snoop ready? Yes. I really hope the pink elephants will be allowed into the theaters again someday. However, I do think we are moving towards harder times when it comes to free speech, free art, free writings, and freedom of movie-making. It is sad. I think so too. Especially in Sweden I sometimes feel that the burden of being “politically correct” in every single aspect becomes a heavy burden. Hi there and welcome back! Glad you took your time to sneak in and have a drink with me. Dumbo is a sweet little movie and I’m sure your girls will love it. I, too, love that scene – it’s one of my favourites in Dumbo! On the subject of packaging, in the UK we have had warning signs on all cigarette packages – both for normal cigarettes and tobacco – for a number of years now. I think companies need to understand that they haven’t really stopped people from smoking by putting messages or photos on their packages, it’s not gonna happen. Tbh I don’t think it’s the companies that are trying to prevent people from smoking. It’s rather a result of demands from the authorities. But yes, I’m in doubt whether warning texts work as intended. My guess is that if you’re a dedicated smoker you’ll turn a blind eye to it anyway. Horton! Got to check that out. When watching older children’s movies (and Disney is only one example) it is sometimes remarkable how often especially drunkenness is used for comic relief in a way that feels very strange with the current PK-standards. But the PK-mafia would certainly have other issues with Dumbo as well, apart from drug abuse. And still it’s sucha lovely little movie — good choice! Yes, isn’t it racist as well? I have vague recollections of that. Reflecting the time when it was made. Not one of my favorites among the Disney movies but I agree that the scene would be impossible to film in a movie today. I remember it as charming, especially with Dumbo not saying a word during the film. But I may remember it wrong. It’s been a while since I saw the entire movie; I just rewatched this scene for this post. I have to admit it was a long time ago since i´ve seen Dumbo. I might like it better today. Only time (and a rewatch) will tell. Dumbo is such a masterpiece! I’m glad you choose to write about it. I love this movie, an early favourite for our kids as well. These hallucinatory dancing elephant-scenes are just marvelous, the whole movie indeed so well made with all those twists and turns. Very old school in a positive sense, and touching when Dumbo finally spread his ears and fly! It’s been a long time since I saw the entire movie, but this little scene was lovely when I rewatched it. It made me all giggly. It’s so refreshing to watch old, handcrafted animated movies. There is a feeling to it that I don’t think you quite get from the modern computermade films, even if they’re technically impressive. I love Dumbo. I cannot remember how young I was when I first watched it – but even as a youngster I adored the pink elephants. I found them fascinating, and not at all scary. I can’t recall ever having nightmares about them either. Rather I think this imaginary trip lodged deeply within. Even when memories of Dumbo fade through distance across time I have always remembered the tune. Recently my wife and I found Dumbo selling for £3 and promptly bought it again and watched it. A wonderful film then, a wonderful film now. In a sense I would compare Dumbo to Watership Down, in that both are almost certainly not films that could be made today. They actually show a very harsh view of the world. Although Dumbo and the rabbits get on top in the end, there are some very dark places they journey through on the way. Too dark for children today I think many people judge. And yet I do not think my brothers or I came to any great harm from watching these films, and possibly were better for glimpsing the darkness of the world in a safe context of a cartoon before having to face it in the real world. Of course, this is no loner academic for me. Thanks fro sharing your love for Dumbo! I have to rewatch the entire movie, that’s clear. Also: I remember loving Watership down, even the the general WAS mighty scary. I bought the single record of Bright Eyes as I remember I listened to it over and over and over again. The novel is great in case you haven’t already read it. Well you probably know my love for it already; I closed my former blog with a quote from it. I loved Watership Down as a child – book and film both. Then I lost the book, and was so happy when I bought a new copy of it again. There is just something wonderful about them. I think I found the description of the destruction of the old warren to be the scariest part – the General and the fight at the end didn’t scare me at all. But the world torn upside down – to me that is still (in both book and film) quite challenging. And I loved the way you closed out your former blog – it is one of my favourite endings of any novel that ending. While the General was scary, I actually think the part that I found most uncomfortable was the place they visited before, where everything seemed to be so good on the surface, but where it turned out that there was this one little thing they didn’t mention…. I hope the elephants are allowed in, maybe not in kids’ movies. That said, I love that scene in Dumbo! Great post. I recently purchased the DVD for our grandchildrens’ entertainment. The reaction was, “as expected”, and the film was well received, with the exception of the “Pink Elephant – Nightmare” segment, which rather distressed our 3 and 5 year olds. In future we will “fast-forward” through this part. With reference to your comment regarding “plain packaging” of cigarettes in Australia, Phillip Morris lost their constitutional challenge, through The High Court, against the Australian Government’s introduction of this legislation. Together with other tobacco companies, Phillip Morris have vowed to continue their efforts to defeat this leglislation. Does their continued action not validate the fact that “plain packaging” may have a serious effect on the sale of cigarettes? I suppose you’re right. Maybe I’m underestimating the value of package design. For my own part I don’t care much about grown-up smokers. It’s their call, as long as they don’t pester me with the smoke. But it saddens me to see kids smoking without realizing what it will do to them. And if a change of package is what it takes to prevent it – well go for it. Though again: I’m sceptic. There are at least two themes examined in Disney’s “Dumbo” that are relevant to today’s generation. One is the fact is that anyone who is born “different” should not be ostracized, (eg Dumbo’s large ears and the ridicule this feature attracts). The current, successful Para-Olympics in London celebrates the disabled and well addresses this issue, with these heroes being celebrated for their amazing achievements, and for the courage they display. The other theme is “bullying” – a world-wide problem. 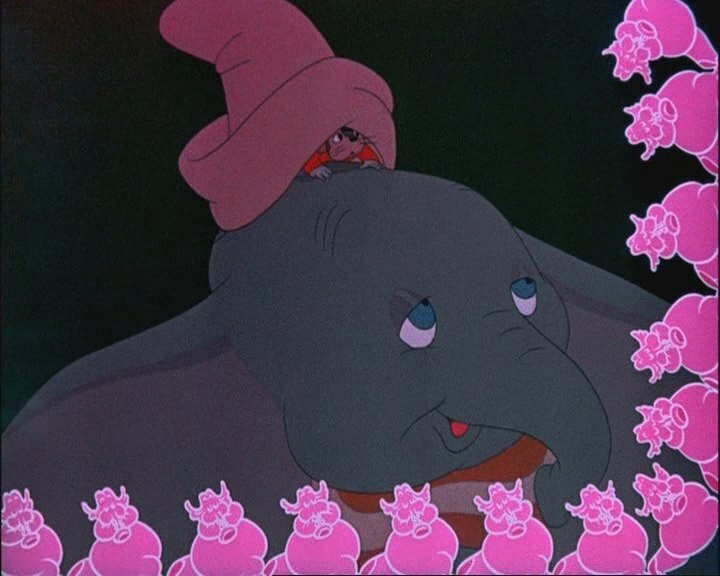 We see the effects of this in the disasterous effect the “naughty” boy has, on Dumbo’s mother, and results in her incarceration. Just as importantly, Dumbo also suffers bullying at the hands of the clowns. These two issues are resolved successfully in the film. The point I am making, (and I don’t want to turn this, into a discussion of the rights and wrongs of smoking), is, that rich and powerful multinational companies are attempting to “bully” a sovereign country like Australia and its people into accepting their requirements purely for monetary gain. This form of “bullying” cannot be accepted, especially as the highest court in Australia has rejected the Phillip Morris constitutional challenge. Turning back to the issue of “plain packaging of cigarettes” and your scepticism as to its success, I can only quote Professor Olver of the Cancer Council of Australia – “More that 20 years of research shows that slick tobacco packaging is particularily powerful for attracting young people”. Thanks for giving me the opportunity of addressing two important issues arising from the perceptive and entertaining Disney film, “Dumbo”. I’m very happy to give you the opportunity to talk about this. I don’t like multinational companies doing bullying either. If you want to see an example of that I recommend you to see “Big Boys Gone Bananas! *”, which I recently reviewed here. It gives an interesting picture of how Dole handles this kind of things.